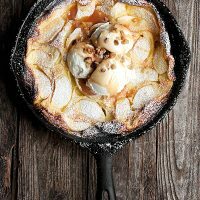 Delicious and easy, this Caramel Apple Dutch Baby is a great dessert, with ice cream or skip the ice cream and enjoy it for brunch. The last time I made a Dutch Baby, I made it with summer fruit. 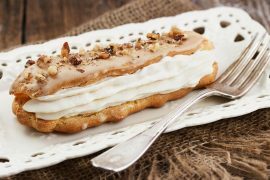 At the time, I wondered out loud about making a Fall version – maybe with apples and caramel sauce. I was sure that someone would pick up that ball and run with it. But it’s been over a year now and, as far as I know, no one has. Well … I couldn’t just let that great idea sit there un-baked. Someone had to do it! I’m pleased to say that it is every thing I imagined. The caramel sauce tastes just like the coating on a caramel apple. 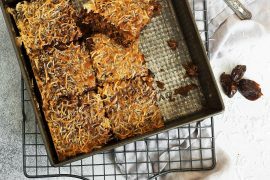 The caramel recipe below makes a lot – more than you’ll need for this dish, but I’m pretty sure you won’t have any trouble finding other uses for it. In fact, I would go so far to say that even if you don’t want to make a Dutch Baby, you should make this caramel sauce. Yes, it’s that good. It’s caramel in it’s purest form, just caramelized sugar and cream. I suggest making the caramel ahead of time and storing it in the fridge until you bake up your Dutch Baby. You can spoon it on cold or warm it a bit. I used Cortland apples, which are a great baking apple and hold their shape really well when cooked. That said, I don’t think you can go wrong with any apple in this one. Just make sure they are tender before your skillet goes in to the oven, as they don’t soften much while in the oven. 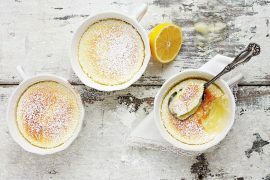 This is great quick and easy family dessert or try it for brunch (minus the ice cream - or not ;). I recommend making the caramel sauce ahead and keeping it in the fridge until you're ready to make dessert. It will thicken as it cools. For the caramel sauce: In a large saucepan over medium heat, stir together the sugar and water with a wooden spoon. Meanwhile, gently warm the cream in a small saucepan. Place a medium bowl out to pour the caramel in to when cooked. Heat the sugar, stirring almost constantly until the sugar melts. Once the sugar becomes liquid, quit stirring (but you can swirl the liquid in the pan). Continue cooking briefly until liquid is a medium amber colour. Remove from heat and carefully (it will spatter! ), add one-third of the cream to the caramel and, once the bubbling has subsided, whisk in the remaining cream. Immediately pour the mixture into the bowl you set out earlier and set aside until completely cooled. Cover and refrigerate. Melt 2 Tbsp. in the microwave and then pour into a blender or food processor. Add the eggs, milk, flour, 1 Tbsp. of the sugar, vanilla extract, and salt. Blend batter until smooth. Let sit in blender, while you prepare the apples. Heat a 12-inch cast-iron skillet over medium heat. Add the remaining 2 Tbsp. of butter and melt. Add the remaining 2 Tbsp. sugar and cook, stirring constantly, until the sugar starts to caramelize, about 2 minutes. Add the sliced apples to the skillet and increase heat to medium-high. Cook, stirring frequently, until softened, about 2 minutes. Briefly re-blend the batter, then pour evenly over apples. Transfer the skillet to the pre-heated oven. Bake pancake until puffed and golden brown all over, about 18-22 minutes. It will deflate as soon as it’s removed from the oven. Don’t despair. That’s what it is supposed to do. Dust pancake generously with powdered sugar and top with 3 or 4 scoops of vanilla ice cream. Top ice cream with some caramel sauce and garnish with nuts, if desired. Serve immediately. 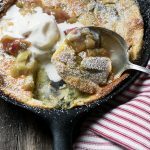 A rhubarb lovers treat, this Rhubarb Dutch Baby makes a great breakfast or brunch dish, or top it with ice cream for a warm, delicious dessert. 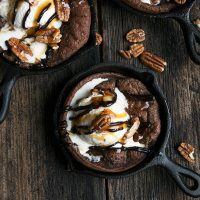 If you need a quick, easy and delicious treat, this one takes a Chocolate Dutch Baby and uses it as the base for a delicious Sundae! This looks AMAZING! 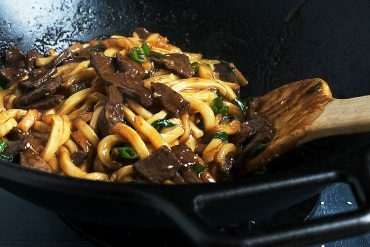 Quick question: my cast iron pan is huge, about 12 inches…how would you suggest increasing the recipe so that it will make enough for such a large pan? Thanks! Hi Liz, I would do at least 1 1/2 times the recipe, maybe even double. My skillet is 8-inch on the bottom/10-inches on the top. So measure yours and increase accordingly. Enjoy! You are my hero Jennifer. Beautiful flavors, beautiful photos – so glad you made it! This looks amazing! 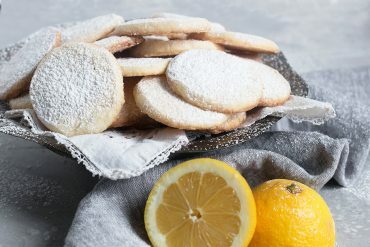 I just came across your blog and it’s SO beautiful! So so beautiful! I can’t wait to read more! 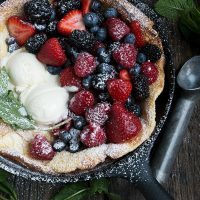 Simply beautiful…this dessert is gorgeous…I’ve never made a Dutch Baby but I will now! 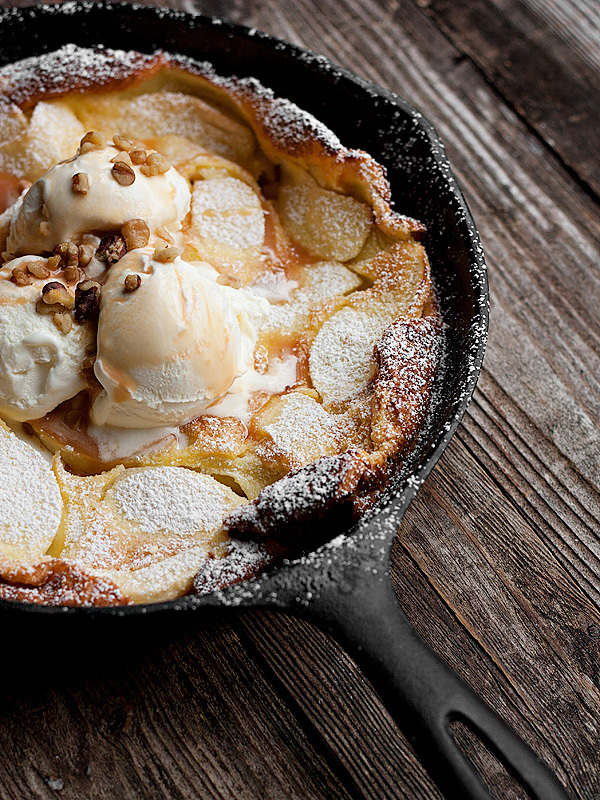 This picture for your caramel apple dutch baby is BEAUTIFUL! I literally said “wow” out loud. Kinda of embarrassing, but totally worth it. I am so happy I found your blog, it is lovely. Thanks so much, Kristan. Appreciate it and I’m happy you found me, too :) You have a pretty awesome blog, yourself! Hi Elf and thanks so much! I’ve been trying to remember to include gram measurements, as I have a scale. I’ll make that my New Year’s resolution (Canada is actually officially metric, but we seem to be still stuck between that and the Imperial measures, even 30 years later. If there’s ever an old one you want to try, let me know and I’ll send you some conversions. It’s very sweet of you to offer conversions, thank you. :-) I hope everything is great in Canada. I just stumbled on your blog and saw this beauty. Looks amazing! Thanks so much, Rochelle. It was a great treat! I really like your pictures!!! Everything looks amazing! This is such a gorgeous dutch baby! It’s almost too pretty to eat! This looks absolutely gorgeous, can’t wait to try it – thanks for sharing! I have a question about step 7, though. Where do the peaches come in? I’m confused. Thanks! Hi Lydia, That should be apples. 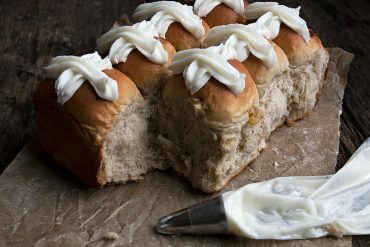 I have made this with peaches, so I just copied the instructions from that recipe (I’m lazy that way :) Forgot to change that one for apples. Does this work best if eaten immediately? 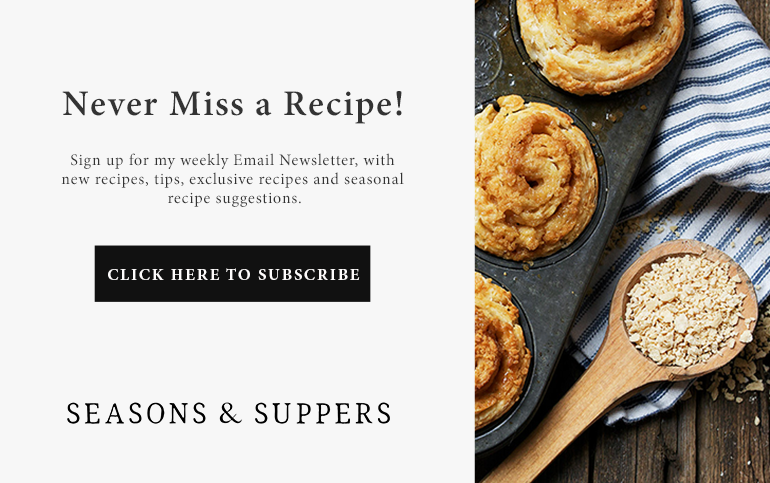 Looking for a make-ahead dish for a work function, and wondering how this holds up after a day or so (and long subway ride)! Thanks! It really is at it’s absolute best if eaten warm shortly after it comes out of the oven. 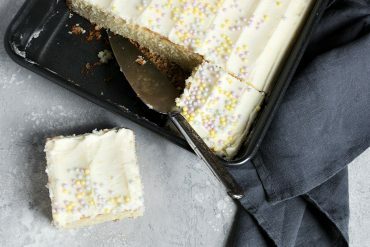 That said, my daughter and husband had some later in the day after I baked this and there wasn’t a whole lot of complaining going on :) If you’re going to try, I would re-heat before serving. So glad you made it through this photoshoot injury-free! What a relief :) This looks incredible tasty! As kids, since we raised laying hens, we made Dutch Babies often to use up eggs. Sometimes my mom would fill the pancakes with apples. The caramel sauce would put it over the top! Wow! Delicious, and so pretty. 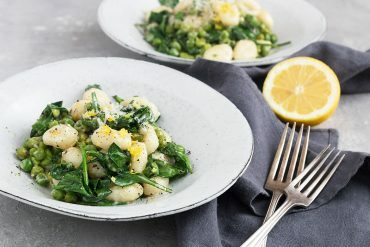 this looks absolutely delicious and i can nearly smell it through my computer. can’t wait to make this this fall season. I want to make this now!! 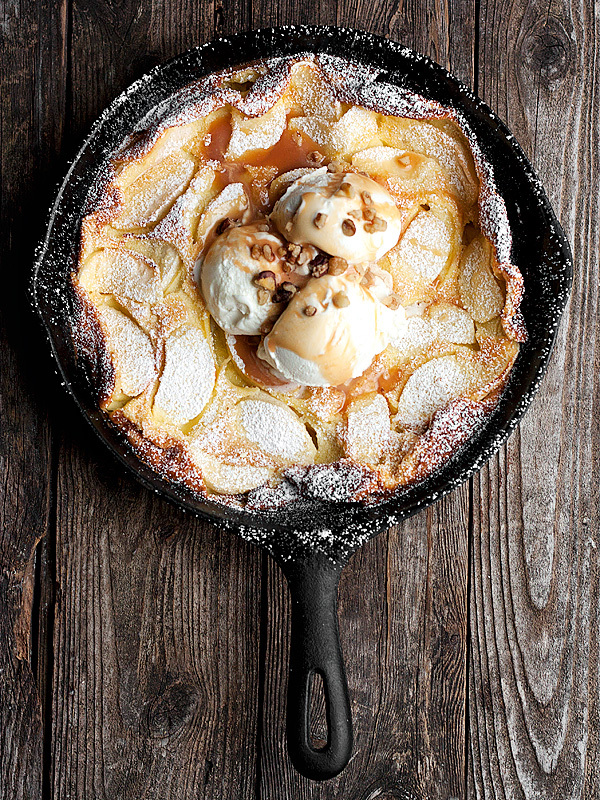 This caramel apple dutch baby looks so cozy and delicious. Just found your blog – It’s beautiful! Thanks so much, Julie. You have a beautiful blog yourself! This is so gorgeous, I love anything with caramel and apples! Thanks Laura and me, too. Hard to beat that combination. Beautiful! How perfectly seasonal. And yes, I want that caramel, now, on everything! Thanks Renee. I have been sneaking spoonfuls of it from the fridge :) Hope your leg heals quickly! Glad to hear there were no bones broken in the making of this breakfast treat.